Prices of cocoa on the international market have begun to tumble due to investors expectations of an imminent increase in production from top growing countries, Côte d’Ivoire and Ghana. Côte d’Ivoire, which is the world’s largest producer, is projecting a production of about 1.9 million tonnes, while Ghana is hopeful of meeting its 850,000 tonnes target for the season, something which the investors believe would contribute to a global surplus of the commodity. The International Cocoa Organisation (ICO) is forecasting a surplus of 105,000 tonnes in the current 2017-18 marketing year, as global production is estimated at 4.6 million tonnes. This expectation of increased harvest, coupled with lower demand from top importrs in the UK has already started having an impact on the sector as the commodity lost US$67.00 last two weeks to settle at US$2,604.50 per metric tonne and subsequently dropped by an additional US110.5 last week to trade at US$2,451.00 per metric tonne. The prices continued to dip this week as the commodity lost an additional US$60.00 to settle at US$2,391.00 per metric tonne. This could also affect government revenues from the sector in the next season if it fails to hedge the cocoa beans at the right price. 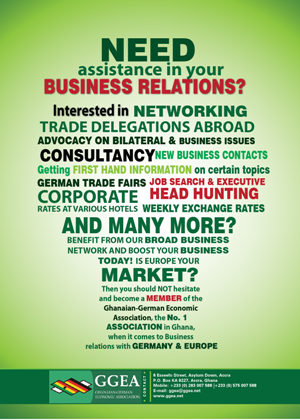 Speaking in an interview with the GRAPHIC BUSINESS an Economic Analyst at Databank, Mr Courage Kwesi Boti, said currently the country had hedged the prices of its cocoa beans and this fall would therefore not have any significant impact on revenues, but, however urged the government to do proper forecasting for the upcoming season in order to hedge the beans at the right price. “The only immediate option available to the country is to lock down the prices ahead of the season but the success of this will depend a proper forecasting of the price to determine how the dynamics would be,” he explained. Mr Boti said he was not aware of any short-term measure the government was taking to prevent a collapse of cocoa prices in the coming season because all the measures outlined were in the long term. “The collaboration with Côte d’Ivoire, the support of the African Development Bank to build warehouses, are long-term measures, which will take time to materialise,” he noted. “I understand there are also plans to build a new cocoa processing plant and a Memorandum of Understanding (MoU) has been signed to that effect but as I speak the plans are still on paper and work has not started yet,” he added. In the interim, he said, there was no plan yet from the government to help stabilise the prices. 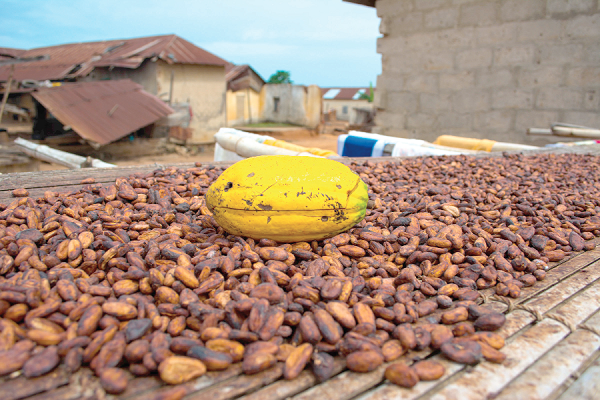 With Ghana and Côte d’Ivoire recently forming a joint cocoa committee, the Economic Analyst advised the committee to also look at coming up with a strategy to control the release of volumes of cocoa beans onto the global market. He believed this was another way the two countries who contribute about half of the global cocoa beans could control the prices of the commodity on the international market. “There should be a strategy that will control quantities that are released onto the market at specific times,” he stated. The anticipation of large production from leading producers has also prompted top and heavily cocoa dependent companies to outline plans to increase their demand and improve on their production. Switzerland’s Barry Callebaut, which has factories in Ghana and Côte d’Ivoire, has already outlined plans to boost annual grinding capacity of its two factories in Côte d’Ivoire from 170,000 tonnes to 230,000. In Ghana, despite efforts targeted at adding value to cocoa before exporting, the country still exports about 80 per cent of its raw cocoa beans. The government has, however, outlined an ambitious plan to increase cocoa production to one million tonnes and also improve the local processing of the beans to 50 per cent. Currently, there are about seven major cocoa processing firms in the country, with an estimated processing capacity of about 500,000, which puts them in a position to meet the government’s 50 per cent processing target.